When it comes to online learning, a personalized fit is key. IXL Learning has that personalization and came to us for review at a time when we were looking for some fresh ideas. IXL is an online program that requires a subscription, a computer, and internet access. We are using the full annual membership and that gives us access to all grade levels and all subjects. This is a really good thing for us since we have a student in late elementary, one in middle school and one in high school. There truly is something for each of them with IXL. IXL is a comprehensive curriculum for the elementary levels in math, language arts, science, and social studies. What this means is that the subject and skill areas covered is comprehensive – everything you would need for those levels. It is comprehensive in math and language arts all the way through high school. Science and social studies are available through 8th grade. There is also a Spanish class to take that covered many areas of the language. IXL is not a complete curriculum in that it does not include the teaching necessary for students to understand the concepts/skills if they don’t already know them. A parent/teacher would need to be available to preteach or teach when questions are missed. In a previous review, this is how we used IXL and it worked well. We used it to teach the skills the girls needed help with as they went along. They also used it to practice those things they already knew or could pick up easily. When a student is ready to work in IXL, they log in. Each student has their own profile but it is under a central login. The student then chooses which subject area they are going to work in. After clicking, say, language arts, the student then chooses the grade level to work on and the specific skill area within that subject. So, Miss J might choose math, grade 4, and patterns. It will then begin her work. She will read and answer questions. As she answers correctly, the questions get progressively more challenging, requiring the students to think harder to get all the way through the question set. This dynamic system keeps the questions fresh and the student working hard at mastery. When a questions is answered incorrectly, the program gives them an explanation page. It gives the correct answer, the answer the student gave, and a step-by-step explanation of the correct answer. The student must read through that or have someone read and explain it to them. There is not a “read to me” option and there are no video explanations with additional examples to help grasp the concept. Each question set has a goal. For many it is to reach 100. For others it is to answer a certain number of questions correctly. As they near the goal, it becomes a challenge zone, which is a key to the student that the questions are getting more difficult and they will have to work harder. Alternatively, there is a second way to approach using IXL. When a student first begins, they can take a diagnostic test. Each question on the test is designed to narrow down the skills the student needs to work on, honing in on specific areas. The more questions the student answers, the better the program can identify needs. This is very good. However, you need to know that ahead of time because it otherwise becomes the never-ending test. It doesn’t stop, as far as I can tell. It just keeps honing. You can just have your student stop after a certain period of time you choose or answer a chosen number of questions. Once the diagnostic test is stopped, there are recommendations made for the student. These recommendations do change when a different child clicks into their account. If the child has not taken the diagnostic test, they will still receive recommendations based on what they have worked on. The child can choose to tackle the recommendations or just go on to what they want to work on. The recommendations include all subject areas. Miss J is 10 and working at a 4th/5th grade level. She is using the program mostly for math but also doing some science, social studies, and Spanish. She is using the program almost every day for her math. She works for about 30 minutes on math each day, which takes her through 2 – 3 skill areas. Once a week, I sit down with her to go through Spanish. This is more of a review for her at these early stages, working on letters, numbers, and such. It does eventually become more conversational but she has to learn to spell the Spanish words for things before we move too much further with it. In science, she is exploring the gems and minerals part of the topics about once a week. And she is working on the American History topics once a week with me, also. Miss J loves that she is getting some little “prizes” when she reaches certain goals – answer 100 questions or spend 2 hours on math. I also receive an emailed certificate for each of those goals. I can print that out or just show it to her online. Miss L is in 7th grade. She has had some math topics that she has struggled with. We have used IXL math as a review for her. I have given her a list of topics/skill areas that I want her to practice. She gets on and work through that list. I have seen those skill areas, as well as her general attention to detail in math, grow through using IXL. I like that there are an abundance of topics and skill areas for the girls to work on. I like that there is something for everyone. I like the variety of question styles and answer options, such as the picture choices when working on minerals. And, I like that I can see progress. There is a parent/teacher side to the site that gives you all sorts of diagnostic information. You can see how long any one student has worked in a given day or week. You can see the exact skills and questions they worked on. You can see if they need additional work. You can also see their progress. I like that this exists and can see how I might use it sometimes but I am not using it a lot. I do, however, see the benefits of this and am thankful it is there for those parents/teachers who want and need to see these for grades and planning. All in all, there are some great things about IXL. It is a solid program for review or to work alongside an active parent/teacher. It is worth checking out. If you are looking for a Spanish version of the site, there is one available. If you are in another country, it also possible for you to receive the site with the appropriate math skills for your area. It should redirect you automatically to the IXL site for your country. The Homeschool Review Crew had many families using IXL Learning for the past few weeks. Reading several reviews will help you understand more about the benefits and flexibility of this program. Please read more of the reviews by clicking the banner below. In what, you ask? Well, floods. Flash floods in particular. A friend on social media sent a message to ask if we are okay since there is some serious flooding to our southwest. We are fine but it brought up a discussion with Miss J about flash flooding. At Home Dad and I had very different immediate definitions of flash flooding. I grew up in the mountains and deserts where flash flooding came from rains up in the mountains and swept down through dry arroyos. He grew up in central Texas where the flash flooding he was familiar with had to do with debris jambs on rivers. Question after question came and was answered as best we could. But it is hard to understand the dangers and damage of flash flooding when you have not seen them. So, At Home Dad went to YouTube. The search brought up some really interesting videos. And we watched. There was some excellent explanations on some of the videos, as well. In the course of watching these, there were some videos that brought up sink holes. Of course, we had to go view those and see what sink holes were. Those videos were also interesting, though not grabbing for Miss J.
Yep. Another idea related surfaced that we watched – mega monster waves. Those really big things that I have been blessed to never see except on video. So, we watched several of those. All in all, it was about an hour spent talking about waves and the power of water and how dangerous it can be. Video can explain when words just won’t do sometimes. It shows power and might and danger from a safe place. Lots of learning happens like this. Ride that wave. Engage in the conversation. Seek out those moments. They occur all the time but we don’t always intentionally deal with them. In the process of trying engage these kinds of questions and interests, we will be making peanut butter and honey bread soon. You read that right – the question was asked after lunch today if you could make a peanut butter and honey flavored loaf of bread for sandwiches. So, we’ll try that out soon. Miss J had some really good ideas about how to approach it. When we were prepping for the school year, we visited a local education supply store. We were looking specifically for some history materials but were enjoying the browsing process. You know – looking at the different curriculum and options and enjoying the “shiny” of it all. The book she wanted: Mind Benders Level 3 from The Critical Thinking Co.
She has consistently worked through the book at two to four puzzles a day. She would spend her complete day on them if I would let her! We have, however, found that more than three or so and they get harder to solve. Not because the puzzles are that much harder but because her brain has been stretched about all it can take for the day. So, we do try to limit her to two. Each puzzle has a series of boxes to mark up to help you eliminate possibilities and mark the right answer when you find it. The puzzles each have about three or four clues but they aren’t the straight-forward kind. You really have to think about the words used and the hints hidden in them. Then you have to interpret that into the grid you are filling out. The puzzles vary in topic from grades to professions to positions on sports teams to sibling relationships. They are fun and really encourage brain stretching and growth. What started out as a splurge to encourage her with something she found interesting looking has turned into something much larger and very helpful. I have seen her reasoning skills grow and her ability to think things through grow, as well. On to level 4 of the series . . .
Home School Navigator is a company who has created a full curriculum for elementary language arts for the home educator. Home School Navigator Reading and Language Arts Curriculum encompasses reading, writing, grammar, poetry, and more. At the more advanced levels, there are also interactive notebooks. I had two students that used this program – Miss J (3rd/rising 4th) and Miss L (6th/rising 7th). Let’s take a look at Miss L’s use first. Miss L used this program mainly for the interactive notebooks. There were a couple of titles on the Level Indigo novel list that are on our long-term reading list for Miss L so we decided this would be a great way to tackle a couple of them. We knew that the daily language arts and grammar work would be below her ability level so while I did have her take a look at the word study for Level Indigo, we chose not to use the rest of the materials. The idea of a word study is something I really like. Taking a word down to its main parts and figuring out how that is used across various words is a great way to increase vocabulary and strengthen word usage. In general, across several levels, I felt this was just too simple. We did two weeks worth of the word study in Level Indigo before I decided that it just was not advanced enough for Miss L. We also worked through the first two weeks worth of work, but in the end, I did feel she already knew enough of the information that it did not make sense for her to continue using the entire curriculum. She did tackle the interactive notebook for the novel Holes. The interactive notebook is simply a lapbook. It is something that is built into Homeschool Navigator subscriptions or you can purchase them individually. Once you have access to the file, you simply print out the PDF. Each page tells the student which chapter(s) of the story to read to answer the questions for the notebook. Then the student can cut that out, glue it into the notebook, and write their answer. We chose to cut them out and stick them onto blank pieces of paper and staple together for a single novel interactive notebook, rather than putting them into a composition notebook or spiral to put several together. You click on Read Aloud and it drops down to show you what the activity for that day for that part of the program is. This is how you access each part of the program. If there is a video to go along with it, there is either a YouTube link (for the books being read aloud) or the video is embedded, as you can see below. Each needed worksheet is also linked right there in the program, where you would need it. This is really quite helpful. If you know you are going to use the whole program and will need all of the worksheets and activities, there is also a way to print off all of the work for the entire month at once. That is a great time saving feature if you are using the whole program. Miss J used the complete weekly lessons for two weeks. At that point, we decided to pick the parts that fit her best, as much of this curriculum was still too simple for her and she needs more hands on activity, rather than worksheet activity. We tended to not use the videos, choosing instead to teach the concept myself. We also did not use a lot of the worksheets, choosing to focus on the idea and talking about the idea. The writing portion sometimes relates to the idea that is being studied and sometimes is a prompt for the student to follow. The computer skills practice is almost always up to the parent to decide how they are going to practice. It does not include a program but rather says “Practice computer skills.” for the daily assignment. We used an email program for this as the girls love to email their family and penpals. Also, the parent will need to assist the child for independent reading, though there is some guidance at the beginning of the program on how to choose a “just right” book. This program begins around late PK/early kindergarten skills and goes through approximately fifth grade skills. The interactive notebooks can go much higher depending on how your student reads and comprehends. We will not continue using the program. I was disappointed in the novel notebooks, as they did not challenge the girls, though they did cover some things that most lapbooks don’t seem to cover for novels (for example, Holes had her compute how much dirt had to be removed for each hole to be the right size). Language arts is a difficult area for us to find a single program that fits. With girls that read and comprehend fairly complex ideas, this just wasn’t a solid fit for us. The material needed to be more of a challenge for Miss J, even after we pulled some worksheets from Level Indigo to try her on. The computer interface was not intuitive for me and took a lot of work to access. The girls could not access it themselves, which made the program less appealing. We also had some issues with sound, though I understand they are fixing this issue as quickly as they can by re-recording the videos that have issues. Take a look at Home School Navigator. They have a really good concept and the workings of it are smoothing out daily as they correct some of the interface issues. The material they include is really good if it is a fit for your child. There is a sample lesson for each of the color levels on the site to help you find the right fit for your family. The ladies who created this really want children to succeed and will work with you to find the right fit for your family. Other families from the Homeschool Review Crew have been using this and have shared reviews over the various levels they have used. I highly suggest reading more reviews as I know this program has been a great fit for many of the families. Just click the banner below. We have been working on a review for Apologia’s Exploring Creation with Anatomy and Physiology. One the appeals of this curriculum is the hands-on learning that is built right into the curriculum. Recently, we made an edible cell. Cells are the first lesson in anatomy and physiology and this really helped the girls see what all is part of these tiny little building blocks that we cannot see with our eyes. Using jello as the cytoplasm and various candies to be the different parts of the cells, the girls created an edible cell. After we reviewed what each of the parts was and its job in the cell, the girls ate the cells. I thought they looked too, um, interesting to eat. They, however, thought the candy and jello looked too yummy to not eat. Edible cells, it is then. This is a don’t miss activity with this curriculum. If you buy the pre-assembled kit that includes everything you need for the hands-on activities, you are good to go and can just open the packet for this lesson. You’ll have the jello and candy you need. It included almost enough to make two complete cells. We had to rummage around the kitchen to find a few bits of candy for a few of the things but overall, it was a simple and fun (and evidently yummy) activity with that pre-assembled kit. 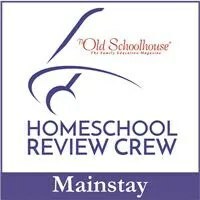 Watch for the review coming in just a couple of weeks with the Homeschool Review Crew. We are still enjoying working through Let’s Go Geography. We don’t stress over our pacing. Some weeks we do three countries; some weeks, it gets left off. It is always interesting and fun, though, and we are really enjoying it a lot still. I hope Year 2 is out when we are ready for it. I just thought I would show you some of the art pieces that have been completed in relation to Let’s Go. Miss J absolutely enjoys the art part of this and it is good for her to have this time. I sometimes forget that she is still young and doesn’t need to have all the book time that her older sisters do. Besides the fact that she is a hands-on learner All. The. Way. It sticks with her when it is hands-on so these projects are great for her. If you are looking for a simple geography program that has lots of skill, take a look at Let’s Go Geography. It is a great curriculum that is simple yet very effective.